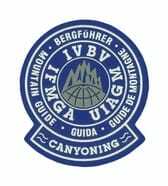 Founded in 2004, Valmalenco Alpina offers a fully qualified IFMGA mountain guiding service across a wide range of mountain sport disciplines. We pride ourselves in organising bespoke international trips throughout the summer and winter months for like-minded individuals to enjoy fantastic experiences together. Based in the beautiful region of Lombardy in Northern Italy, Ivan Pegorari is leading a passionate team, all ready and waiting to take you on your next adventure. ​Read more about the Valmelenco Alpina team below. 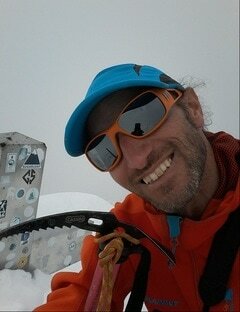 I have worked as an IFMGA mountain guide for over 10 years and specialise in a wide range of mountain disciplines. My passion for life is sharing mountain adventures with others, and I’m also an active member of the local mountain rescue team. 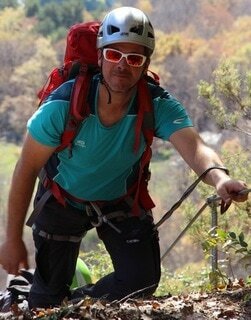 Before becoming a mountain guide, I worked as nurse for 10 years at Milan ICU. I’ve been passionate about the mountains since a small girl spending time playing in the cattle meadows and helping out on the farm. I graduated in science and then became companion of Medium Mountains, sharing the philosophy of Valmalencoa Alpina in all its forms.